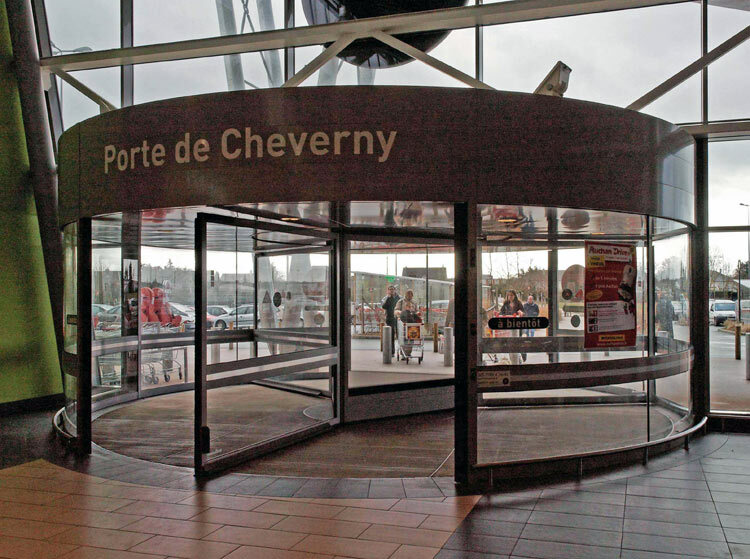 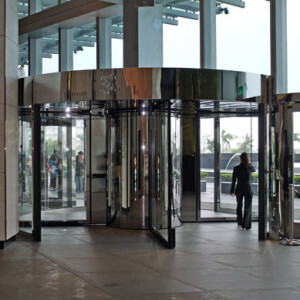 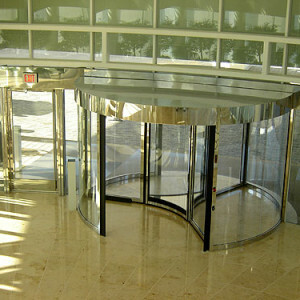 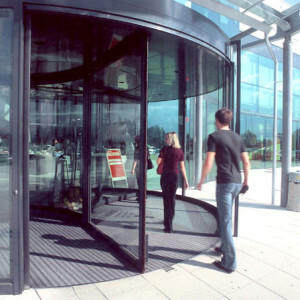 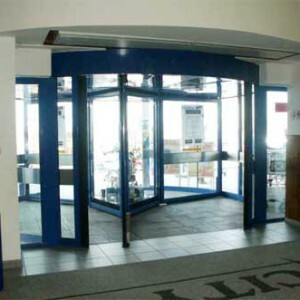 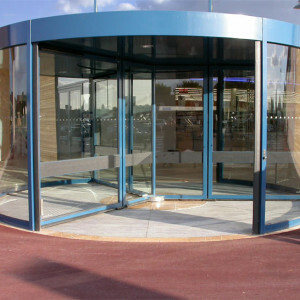 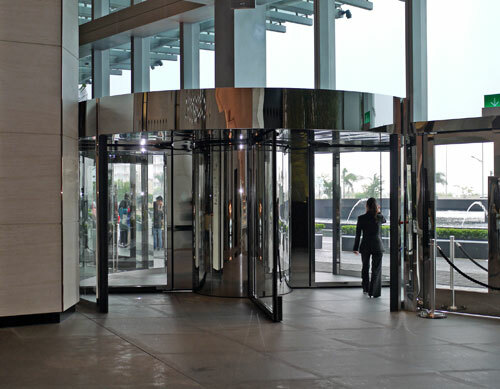 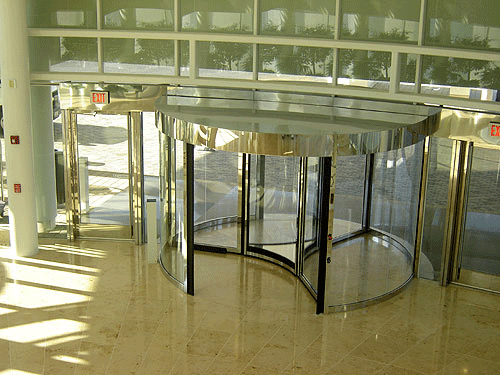 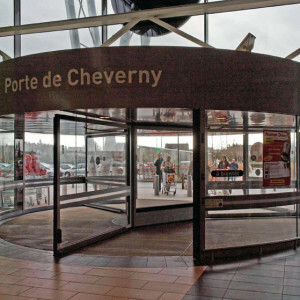 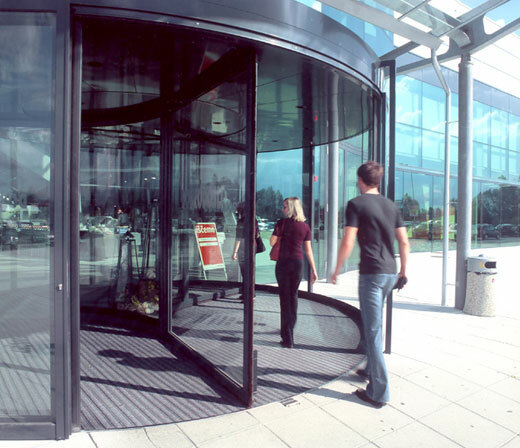 The Boon Edam Tournex revolving door is a sophisticated automatic revolving door with spacious compartments, easily able to cope with intensive pedestrian traffic flow while protecting the building environment from draughts. 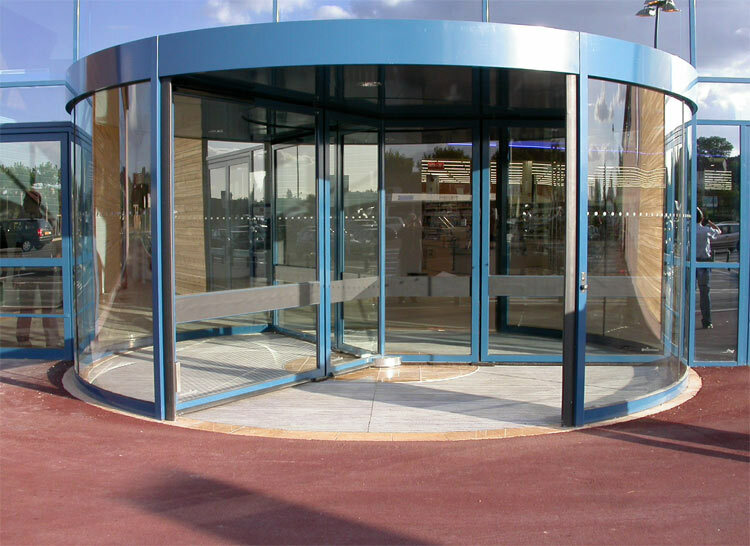 With a range of diameters up to 7400mm, the Tournex is large enough to safely accommodate shopping and luggage trolleys, stretchers and wheelchairs, making it a truly impressive and versatile solution. 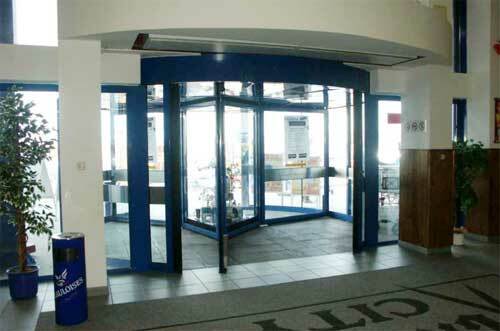 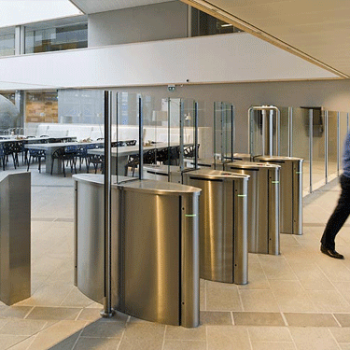 The variety of configurations and large diameters enables us to offer you a high capacity, energy efficient entrance solution for almost any building. 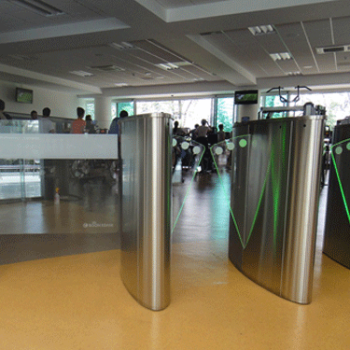 You will find the Tournex installed in airports, hospitals, supermarkets and hotels around the world.